We highly encourage creativity, and applaud it. 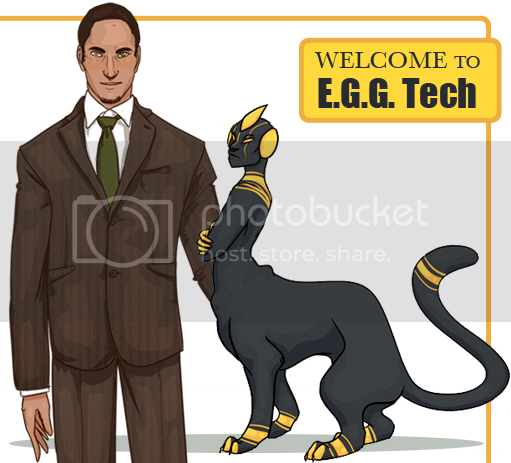 E-G-G is an urban fantasy pet club molded specifically for DeviantART artists who enjoy roleplay, club events, contests, and interactive story-lines. Please read everything in this group! It should answer your questions! Hey, guys. I know it’s been a while but there’s a reason for that and it’s a biggie. After a lot of careful consideration, the mod team has decided that EGG’s time has come to an end. We know it may seem to be coming out of nowhere for some of you, especially the ones that don’t come into the chats often, but we can assure you that it’s something that we’ve been thinking about for a while now and have been trying to postpone as much as possible until now. Truth is, we’re just not up for the job of running the club anymore. It’s a time and energy consuming activity that, in the end of the day, has been feeling more and more like a job without a wage and that really starts to weigh on you after a while. This doesn’t mean we don’t love the club to pieces; on the contrary, there isn’t anyone who loves EGG as much as we do. However, it’s not fair to you guys – or to us, for that matter - if the club is going to be constantly inactive and outdated because the effort of keeping a club bright, new and interesting has become too hard to bear. Plus, we’ve had a lot of issues with inactiveness recently. During our first activity check, one fourth of our club population had to receive a notice of inactivity, and it would’ve been more if we’d stuck to the 2 month policy that we decided to adopt in the end, closer to one third. While this doesn’t mean that everyone has lost interest, it certainly weighs on us as mods when we see that our efforts are going, largely, into a big void of inactiveness. So, what does closing the club mean? It means we’re not going to be tokening or pointing things, accepting applications, and planning rps, events or contests anymore. The plot that had been planned for the club will also stop. The multiple chatrooms we have will remain open, though, so you are free to hang around them if you so please. However, the chances of having a member of the mod team in there will be slim to none. Despite it not being tallied in tokens or points, art can still be submitted into the club. For now, I’ll have it so it still has to be accepted and personally check, possibly in a weekly basis, to make sure anything that gets sent gets into the club. This might change in the future to be automatically accepted but this remains to be seen. We want to apologize for anyone who is disappointed by this turn of events, especially on such short notice. However, we want to thank you all for the wonderful times we had in the club. It was fun while it lasted. EGG was as much a learning experience for you as it was for us and while we’re also sad we have to close down, we’re happy for the memories we got out of it. Why not pass it on, like last time? Passing the club to someone else would require a big overhaul like when we had the club handed to us. That means, something like the timeskip, where everyone controlled by one of the mods disappears and is replaced by someone controlled by a new team of people. Thing is, before the timeskip, the club was still strong and healthy and after the timeskip, we not only lost a lot of people but also a lot of interest and the club weakened. We never really managed to get it back to its former ‘glory’. The club isn’t currently strong enough to withstand another change like that and we think that not only would it be timewasting to try and make something like that happen but also cruel for any future mod team because clubs hardly ever recover from this sort of thing, much less twice in less than a year. All good things are meant to come to an end sometime and we think it’s finally EGG’s time to go. dang I just found this site. Sounds like fun. Can I still create an egg and all? So, I was wondering about buisnesses and things of the sort in Cedaren. Like, can we just make up a business for our characters to work at, or is there some other thing that is done? I was wondering if this group would like to affiliate with [link] ? Hey I was wondering if it's okay to have an EGG that is neither male nor female, just sort of an it. I figured since they're being evolved from genetic sciency stuff that it could be possible for one to evolve with out a reproductive system. Thus it wouldn't have a gender. If so, what would I put for gender on the EGG sheet? Do I submit the character sheet, interview and egg sheet at the same time? And is it ok if I draw traditional, scan it and paste the result on the sheets?